Our little Peanut has arrived safe and sound. Querido and I are thrilled, proud, tired, and bewildered all at once. Blogging is going to take a back burner as we all get ourselves sorted out, but knitting continues and you can find me keeping odd hours on Instagram @antiquotidian. P.S. 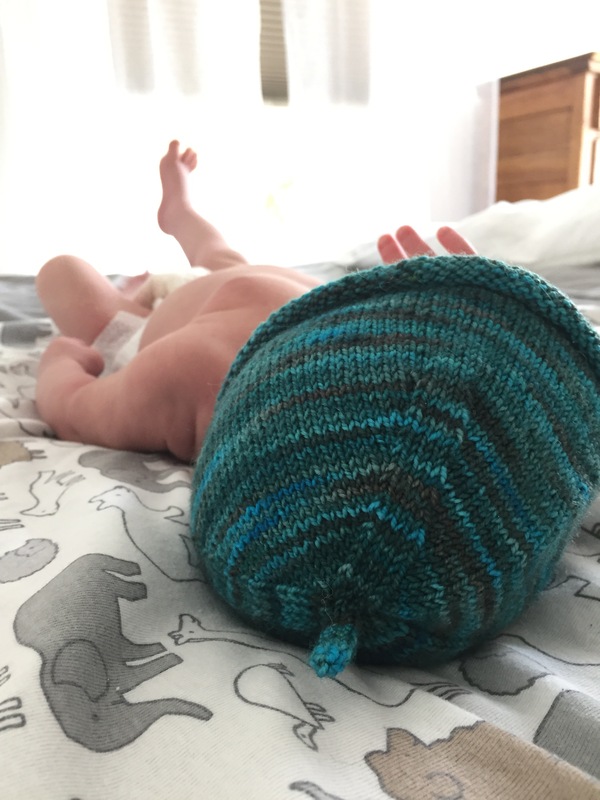 He wore his Little Sprout hat home from the hospital, and it was the cutest thing ever…just slightly too large. Serves me right for frogging it so many times. Congrats………I see lots of toes and fingers. How wonderful. The fun now begins.